In this picture filed with a report at the CAIC website, the short vertical line in the center shows the skier's path. The skier was caught in a slide and dug out where the star is posted. The longer line shows the extent of the avalanche in the McFarlane's area off of Richmond Ridge. 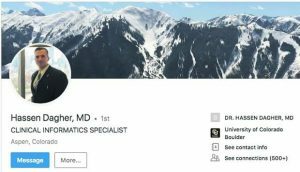 An employee with Aspen Mountain Powder Tours was completely buried in an avalanche Saturday on Richmond Ridge and then located and rescued by a colleague, according to Aspen Skiing Co. and a report filed with the Colorado Avalanche Information Center. 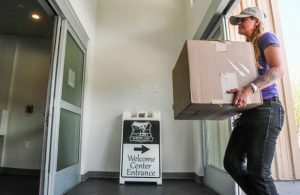 The two employees were “scouting” terrain prior to the powder tour operation opening for the winter, Skico Vice President of Operations Jeff Hanle said Monday. 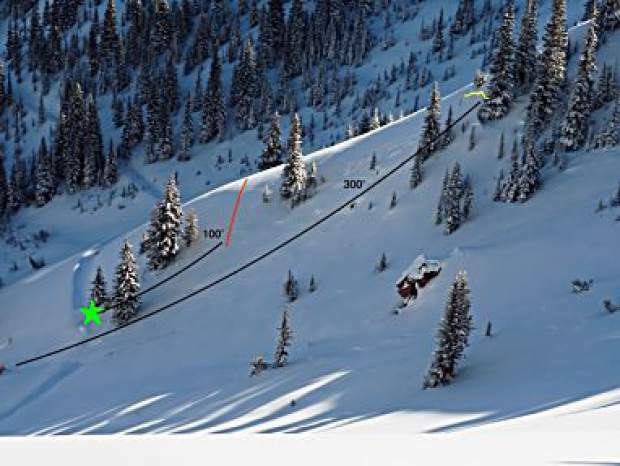 The skiers were traversing one at a time out of the McFarlane’s area south of the Silver Queen Gondola when the first skier triggered an avalanche, according to a report filed with the avalanche information center by longtime powder tour employee Murray Cunningham. Hanle elaborated that the buried skier suffered “bumps and bruises” and was back at work Sunday. Skico owns the powder tour operation. Hanle said it was deemed safe to open to the public Sunday despite Saturday’s avalanche. The scouting helped the tour operation staff determine what terrain could be used, he said. The avalanche was reported on a slope with a northeast aspect at an estimated elevation of 10,500 feet and an average slope angle of about 35 degrees, according to Cunningham’s report. 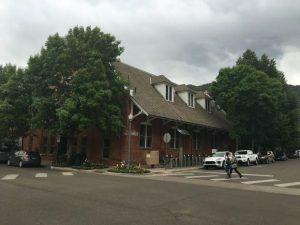 The incident occurred while a quick-hitting snowstorm blew through the Roaring Fork Valley and left several inches of snow in higher elevations. Additional avalanches were reported in multiple slide paths visible from the Marble quarry road and even in the Aspen ski areas. 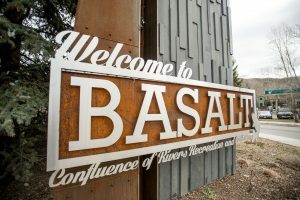 A skier triggered a slide, apparently Sunday, near the top of the Loge chairlift at Aspen Highlands, which was closed at the time. “Good reminder that closed avalanche terrain at the ski areas should be treated as backcountry,” wrote Brian Lazar, deputy director of the Colorado Avalanche Information Center in a field observation report. Another incident occurred on Aspen Mountain on Saturday. Ski patrol discovered a snowboard track heading into an area where a small slide was triggered on inbounds but closed terrain between the Northstar trail and the Gent’s Ridge chair, Hanle said. The discovery was made while the patrol was performing its sweep at about 4 p.m.
“No one witnessed it so they had to stop and do a full search,” Hanle said. Skico is asking skiers and snowboarders to respect all closures within the ski areas. Also, if a person is involved in or is aware of a slide, they should report it to the patrol, Hanle said. Lazar said much of the backcountry in Colorado is set up with a weak layer of snow once again this season. A decent amount of snow fell in mid-October. “That’s always a worry,” he said. That earlier snow either melts to the ground or temperatures stay cold and the earlier layer gets buried by new snow, Lazar said. The October snow remained on many aspects this year, then got buried by the November snowfall. “That loaded and tested those buried, weak layers,” Lazar said. The result, the avalanche information center’s website said, is the weak layer flunked its test. That’s what resulted in so many avalanches over the weekend. The avalanche forecast for the Aspen zone was for moderate conditions today, reduced from considerable Monday. Nevertheless, backcountry travelers were advised by the experts to be patient. “The season is young and the snowpack is adjusting to the first large load,” CAIC said in its forecast.